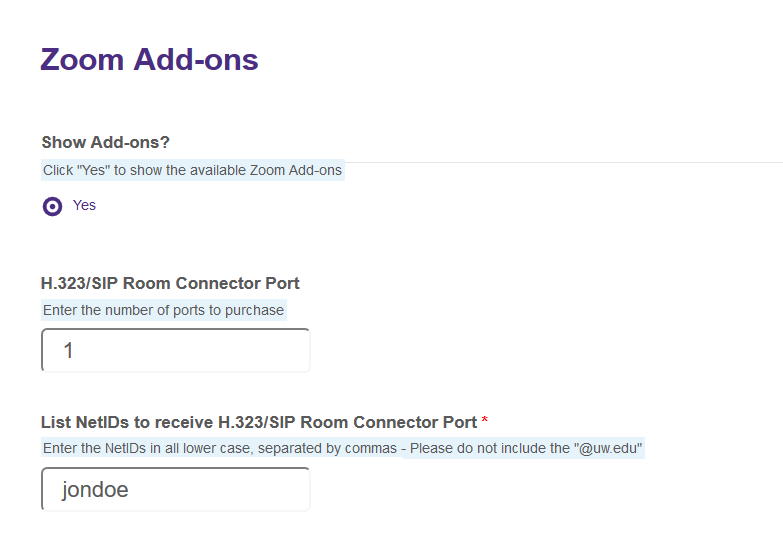 To order a UW Zoom account, you will need to fill out the UW Zoom web conferencing order form. Indicate the number of accounts as numerals. To avoid order delays, make sure to have the same number of UW NetIDs in the text box as the number of accounts that are being purchased. If you want additional features, under Zoom Add-ons, click Yes. You will see a list of features to choose from. 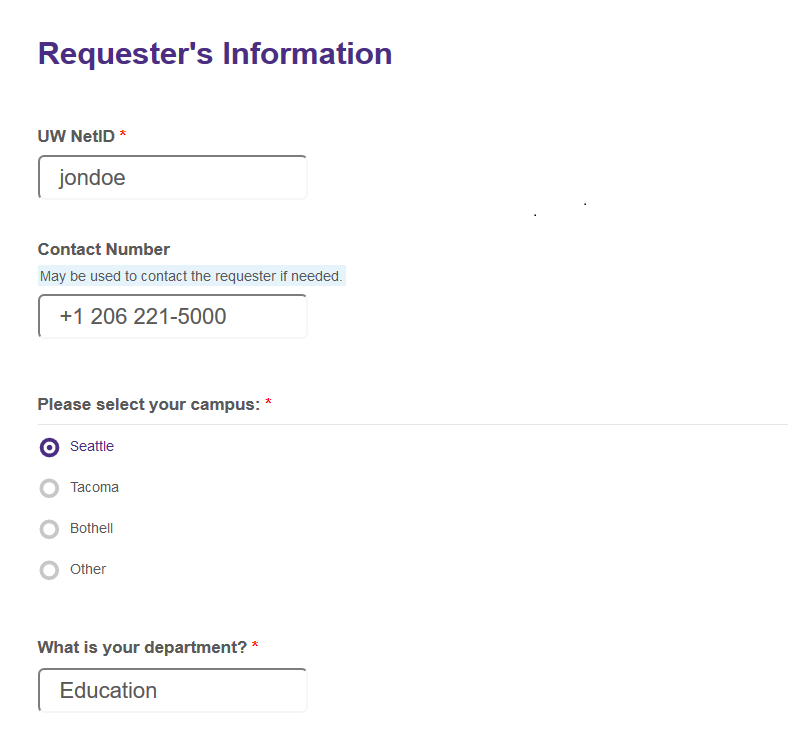 When you are logged in, your UW NetID should auto-populate in the first field under Requester’s Information. If it does not, input your UW NetID manually along with a contact phone number and your campus and department. 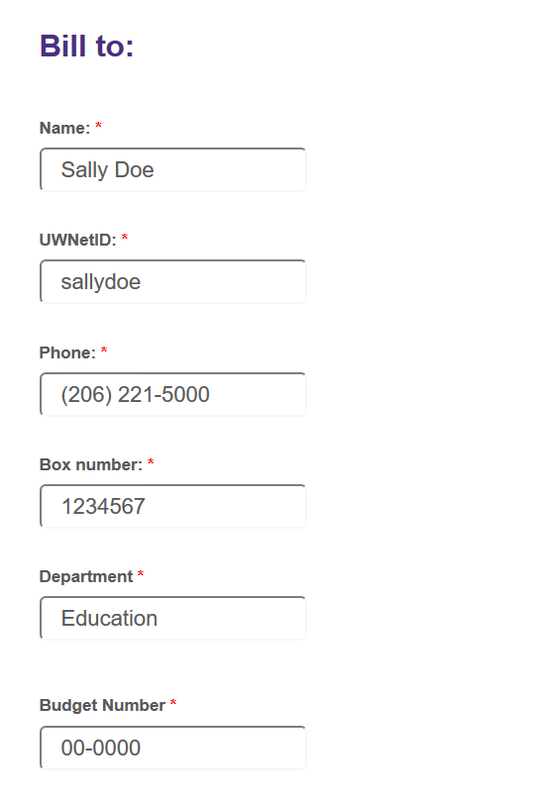 In the fields under Bill to, enter information for the person in charge of the budget that will pay for the UW Zoom account(s).